You can read the complete list of changes. 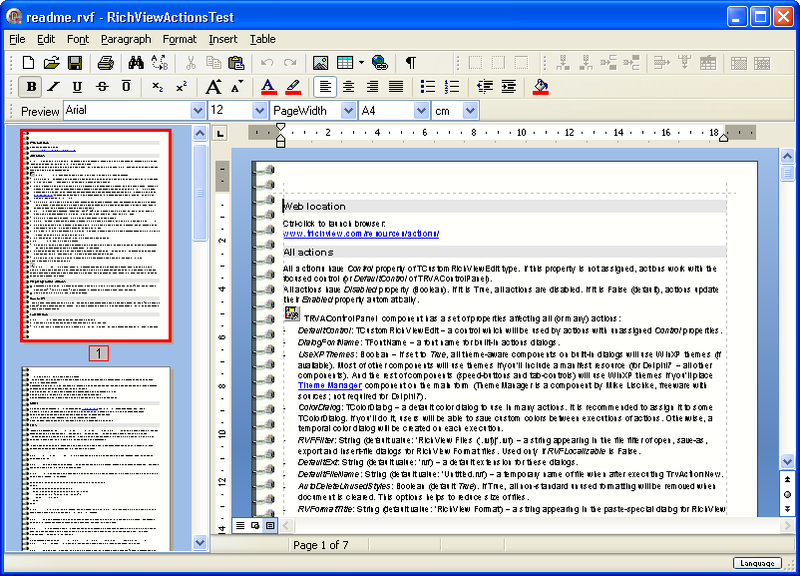 Full source code is included in the TRichView installation. 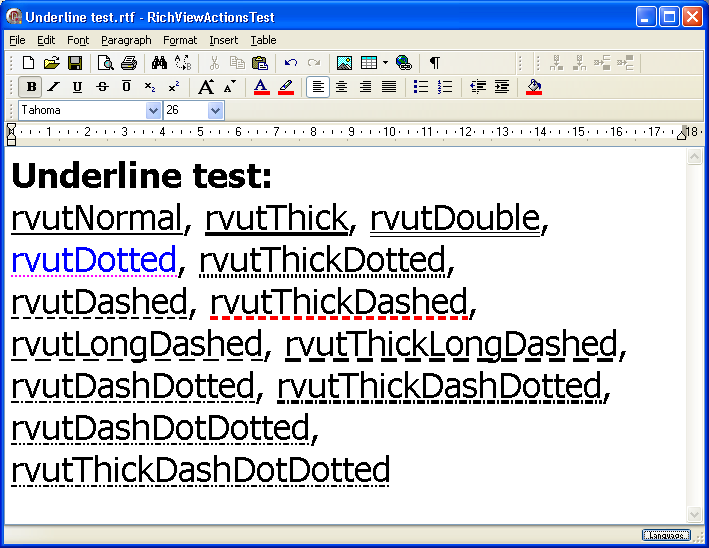 ScaleRichView is an add-on to TRichView and RichViewActions. 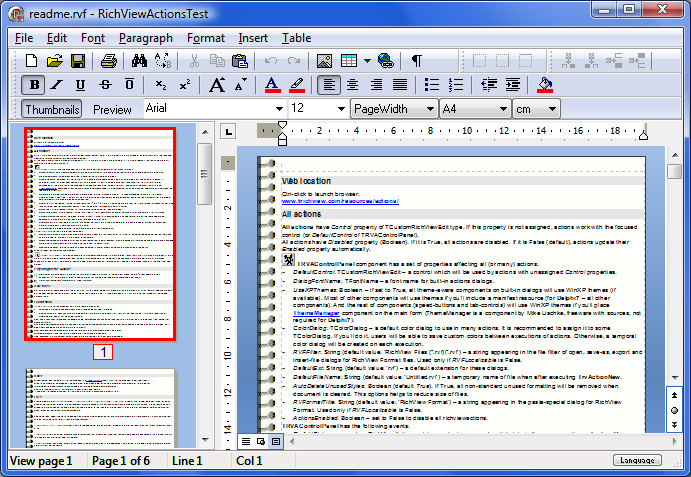 Trial version of ScaleRichView is included in the TRichView installation. A new component TRVHtmlViewImporter imports HTML documents from THTMLViewer to TRichView or TRichViewEdit. You can find this component on the resources page. TRVHtmlViewImporter is free for TRichView users. 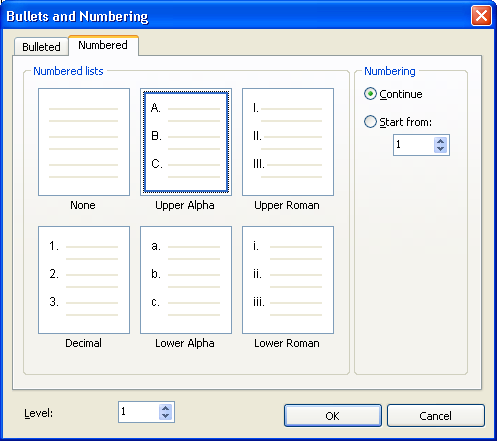 A new spell checker is supported: HunSpell. 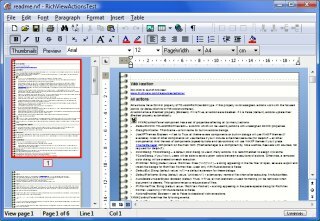 This spell checker is used in Open Office, Mozilla FireFox and Google Chrome. Both a traditional (using a dialog) and a live checking are supported. 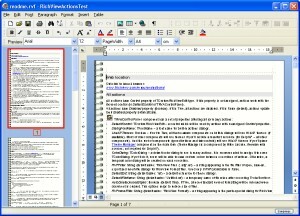 It is free for TRichView users. performance optimization (including much faster reformatting and copying to the Clipboard). ScaleRichView is an add-on to TRichView and RichViewActions. Read more about ScaleRichView. RVF (RichView Format) file viewer for Directory Opus 9+ is released.